A Cajun Creole Honkytonk Party! Creole Stomp has captured the ears and the feet of Louisiana music fans across North America. 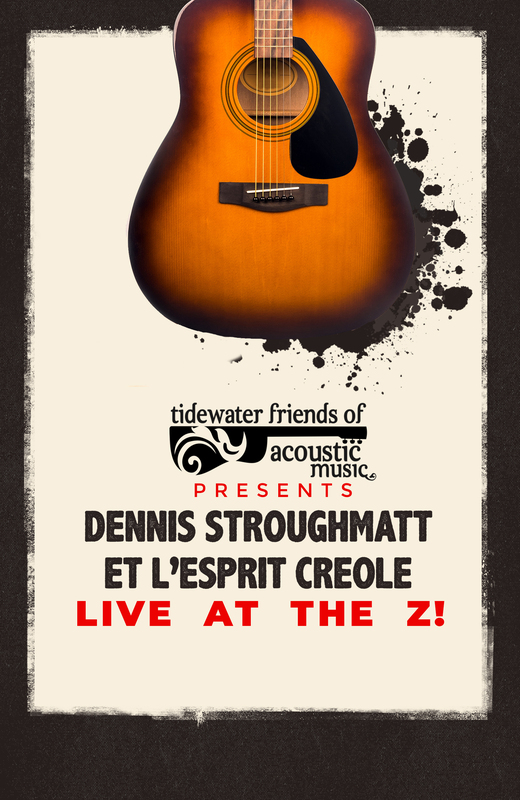 Led by French-speaking Creole fiddler and accordionist Dennis Stroughmatt, Creole Stomp keeps listeners enthralled and dancers moving on the floor with a rollicking mix of contemporary blues, swamp pop, and traditional Cajun and zydeco dance tunes. Creole Stomp shows have become legendary for the heart and passion conveyed from the stage—music with emotion and energy that literally jumps from the band. In fact, over the years the band has become informally known as “The Grateful Dead of Creole Music,” for their well-oiled, dancer-driven, crowd-pleasing marathon jams and improvisation. Traditional Louisiana Cajun two-steps, reels, and waltzes sizzle in the stew along with Creole blues and mazurkas. A favorite on the Cajun-zydeco dance circuit, the band has also become a celebrated fixture at venues around the United States, ranging from park concerts and theaters to folk and blues festivals. No matter the venue, wherever they come from, and wherever they go, Creole Stomp is a band that knows how to throw a Louisiana party!